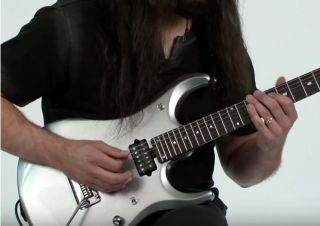 In this John Petrucci lesson, learn how to move diagonally across the fretboard to connect scale positions. Guitar World brings together 15 new signature guitars that can help you channel the spirit of your favorite ax slinger. London in the early Seventies was the center of the guitar universe, the place where some of the greatest players of the classic rock era were living, performing and recording. The all-new January 2014 issue of Guitar World is available now!